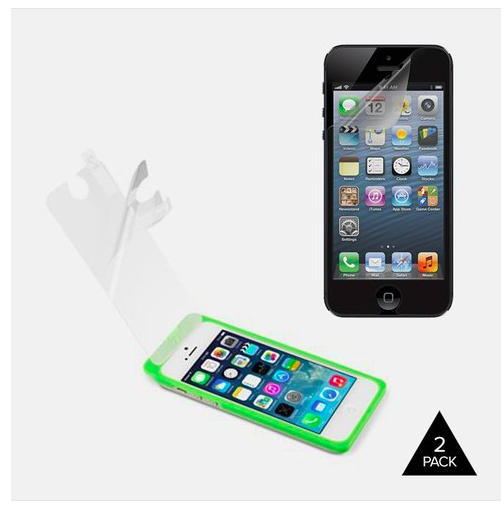 2 Pack Belkin Anti-Glare Iris Film for iPhone 5/5S Only $6.99 + FREE Shipping! You are here: Home / Great Deals / 2 Pack Belkin Anti-Glare Iris Film for iPhone 5/5S Only $6.99 + FREE Shipping! Protect your iPhone 5/5S from scratches with this HOT deal! Right now you can grab this 2 Pack Belkin Anti-Glare Iris Film for iPhone 5/5S for only $6.99 + FREE Shipping! The Belkin Anti-Glare Easy Frame Film helps protect your iPhone screen from damage without affecting its appearance or functionality. Strong yet thin and lightweight, the film provides surface protection that will help keep your iPhone looking like new. Plus, the easy install frame makes for painless, hassle-free installation.